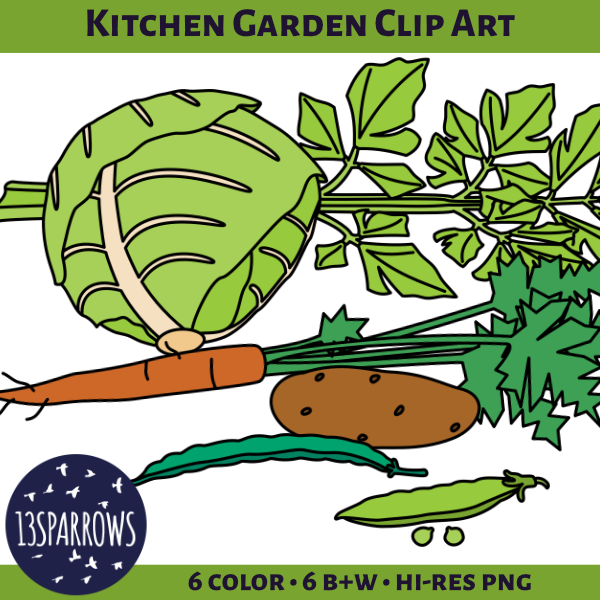 The thumbnail product cover for Kitchen Garden Clip Art. Features a light green celery stalk with leaves, a light green head of cabbage, an orange carrot with green leaves, a light brown potato, a blue-green bush bean pod, and a light green pea pod with two peas on a white field. The 13sparrows logo is at the bottom with the text 6 color, 6 B+W, and hi-res PNG.